BERLIN (Reuters) - Volkswagen (VOWG_p.DE) shareholder Lower Saxony wanted to withhold its backing for the carmaker's top management at a supervisory board meeting but relented to avoid further damaging the firm, a source close to the German federal state said. Representatives of the Lower Saxony government, which has a 20 percent stake in VW, raised their objections last week when the supervisory board debated whether to endorse the managers' actions in 2015 - the year the company was engulfed in a scandal over the rigging of U.S. emissions tests. However, they backed off following a plea from Chairman Hans Dieter Poetsch, fearing their stand would be seen as a vote of no-confidence vote in VW's leadership, the source told Reuters. Last month Volkswagen announced a 4.1 billion euro ($4.63 billion) operating loss for 2015. It has reached a nearly $10 billion deal with the U.S. government, but still faces an array of civil law suits and members of its management board - which runs the company day-to-day - are under fire over their bonus scheme. In the end, the supervisory board recommended after its May 10 meeting that shareholders should vote to ratify the actions of the top management, including Chief Executive Matthias Mueller, at the annual general meeting on June 22. Such shareholder votes are common for German companies but in VW's case the crisis means that approval is not a formality. Support from Lower Saxony is vital for VW's management along with the backing of the company's two other major shareholders, the Piech and Porsche families and the Gulf state of Qatar. The source told Reuters that Lower Saxony, which holds two seats on the 20-member supervisory board, initially opposed the recommendation because investigations into the scandal were still continuing. U.S. law firm Jones Day is finalising an inquiry ordered by VW into what role managers may have played when the carmaker cheated in the exhaust tests on diesel vehicles. The source said Poetsch had strongly backed endorsing the management board. Lower Saxony, represented by premier Stephan Weil and the state's Economics and Labour Minister Olaf Lies, eventually accepted his pleas to consider the risk that a split supervisory board could pose to VW's recovery efforts. "It would have been read as a vote of no confidence in the leadership," said the source, who asked not to be named. "It's in Lower Saxony's best interest that VW gets moving again." A vote against the Volkswagen management board would have risked further destabilizing the company that employs over 120,000 people at six factories in Lower Saxony, including its Wolfsburg headquarters. A spokeswoman for Weil declined comment. In a statement after the May 10 meeting, the supervisory board said its recommendation to endorse the managers' actions was based on the presumption that investigators did not uncover any wrongdoing, and it did not preclude the possibility of seeking compensation at a later stage. The source said Weil, a Social Democrat and former judge, is very unhappy with the agreement on managers' bonuses. Bonuses have become a flashpoint at VW. Trying to soothe labor unions and investors, the supervisory board decided last month to withhold parts of executives' bonuses but said they would get the remainder if the company's preference shares rise 25 percent by 2019. "We realized we had no legal means (to scrap the bonuses) against the will of executives," the source said. "We are not planning to reopen this subject." 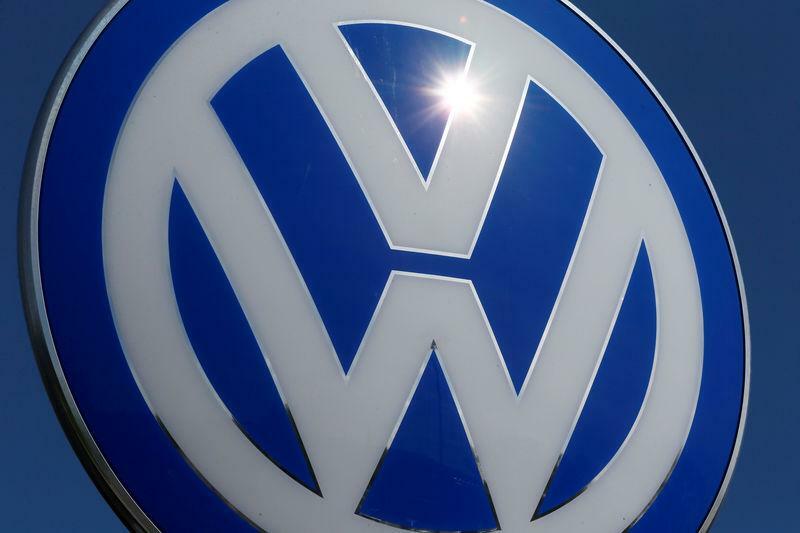 VW, which will pay 12 current and former members of the management board 63.2 million euros in fixed and flexible remuneration for 2015, has drawn political fire at the federal level over the bonuses. "Everyone in Germany must be appalled if a management that has caused one of the biggest crises at Volkswagen still treats itself to multi-million bonuses," German Economy Minister Sigmar Gabriel, national leader of the Social Democrats who share power in the federal coalition, said last week. VW's annual report shows that management board members have had 30 percent of their variable bonus awards withheld. Bonuses will be unfrozen if preference shares rise 25 percent above 112 euros, the Financial Times reported, setting the bar at 140 euros. VW shares closed at around 129 euros on Friday. Monday is a public holiday. VW announced on Friday that workers will get a 3,950 euro bonus for 2015, down from 5,900 euros a year earlier.